The Trump administration reopened a decades-long fight over whether tribes in Alaska can create sovereign areas. Native American tribes are able to put land into trust with the federal government. The property then gains special status: it’s not subject to most local and state laws and it’s not taxed either. Such lands are included in the legal classification of Indian Country. For decades, Department of Interior cited the Alaska Native Claims Settlement Act of 1971 — the law that set up regional Native corporations — as the reason Alaska tribes weren’t able to put land into trust. But most of the more than 200 tribal organizations in Alaska weren’t part of the deal. “We did not receive land from the federal government so we’re kind of at a loss to our aboriginal land claims,” said Ivan Encelewski, executive director of Ninilchik Traditional Council, which oversees tribal affairs for the 900-member Ninilchik Village Tribe. The council received a federal grant about a year ago to run a public bus service on the Kenai Peninsula. 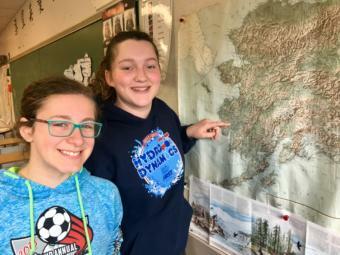 “We do a static bus route basically running from Ninilchik down to Homer and up to Soldotna and Kenai,” he said. The tribe decided to put its bus garage into trust, which would exempt property from local and state taxes and potentially unlock further federal money. The tribe had reason to be optimistic. After years of litigation the Bureau of Indian Affairs began accepting lands-into-trust applications from Alaska tribes in 2014. Three years later the Craig Tribal Association on Prince of Wales Island made history by becoming the first – and so far only – one to be successful. That was in January 2017. A week later, President Donald Trump was inaugurated, which meant new appointees running the Department of Interior and Bureau of Indian Affairs. Tribes were notified in June the rule was being withdrawn, pending further review. Anchorage attorney Lloyd Miller helped sue the Department of Interior that eventually opened the way for Alaska’s tribes to put lands into trust. He’s disappointed it didn’t last. Bureau of Indian Affairs released a list of trust applications from tribes, but did not otherwise respond to requests for comment. Where Gov. Bill Walker’s administration stands is unclear. It has fallen in line with previous administrations in opposing Alaska tribes from establishing sovereign trust lands. Alaska Native leaders that advise Walker recently met over the federal government’s sudden U-turn. Governor’s Tribal Advisory Council Chairwoman Melissa Borton said the feeling among the group is that when it comes to putting lands into trust, the so-called “Alaska exception” is unfair. Alaska Native tribes have invested thousands of dollars in their applications in the meantime. Bureau of Indian Affairs sent a July 2 letter to tribal leaders saying it would hold consultations with Alaska tribes and take public comment over the issue.